Schynige Platte-Bahn, which belongs to the same company group as BOB, Berner Oberlandbahn, is just a short sidetrack of the BOB route Interlaken-Lauterbrunnen, only 7 km long and leading from the village of Wilderswil (quite next to the town of Interlaken) only to the platform like area of Schynige Platte (=beautiful plateau), which has a magnificent view over the town of Interlaken and the Lake Thun, which is said to be one of the most photographed lakes on earth. 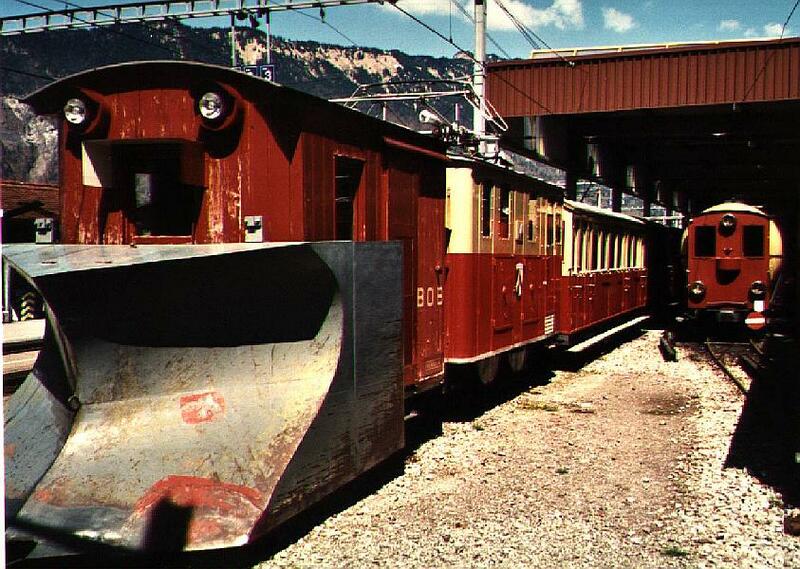 The railroad is a pure tourist attraction, run with locomotives from 1910-14 and coaches from 1910-1930s, a place where rich tourists are taken against a robber�s fee up the wonderful hillside in the old style in old coaches along the steep narrow gauge, cog wheel track. 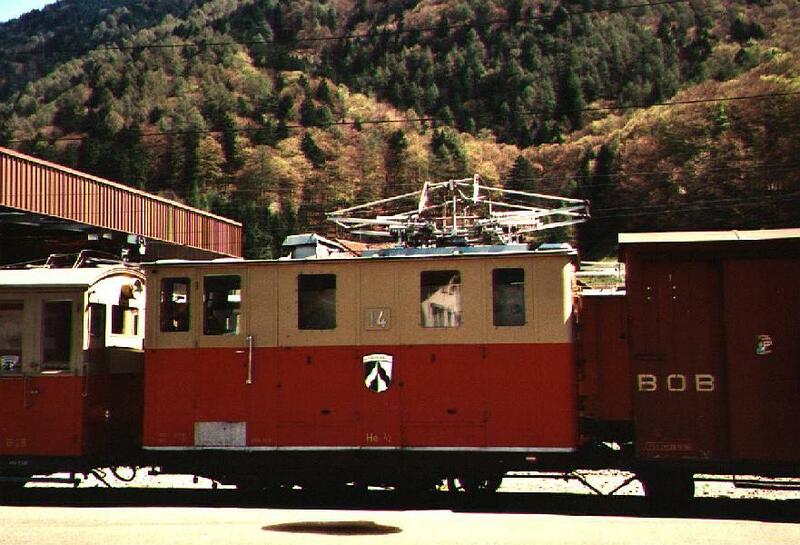 The company operates only during summer, usually using 2 of their totally 12 He 2/2 locomotives from 1910-14. All other railroads including the mother company BOB and the nearby WAB have stopped using the old He�s due to their unreliability. In fact, 8 out of the 12 He 2/2�s of SPB are from ex. WAB. 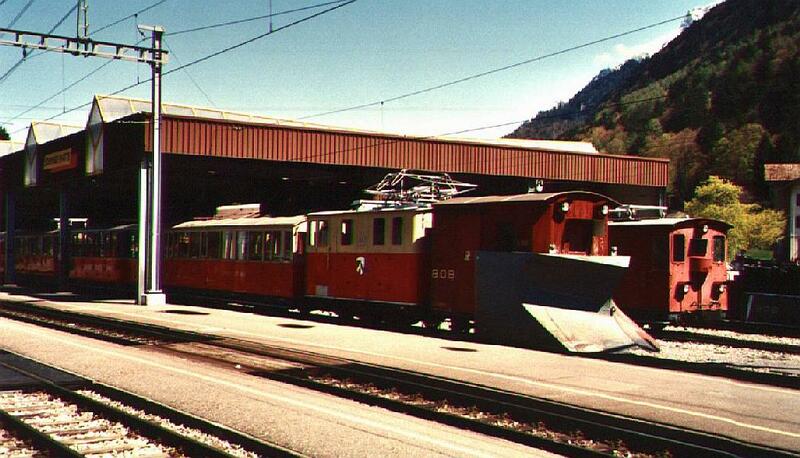 The railroad was opened 14.6.1893 and uses a gauge width of 800 mm (as BOB, WAB, Jungfraubahn and others nearby) and is electrified with 1500V DC since the beginning of the 1900s.